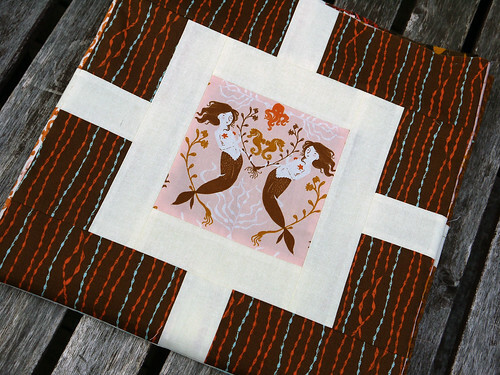 In a rush of inspiration, I finished what I’ve affectionately been calling ‘the mermaid quilt’. 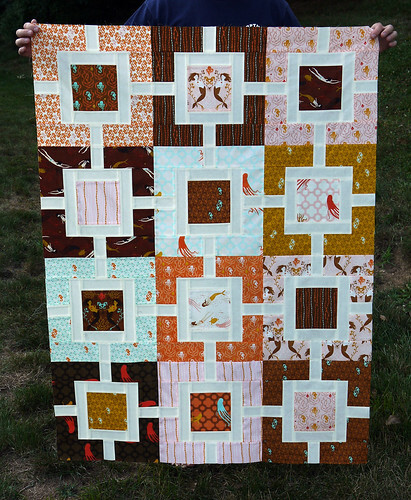 I love how well the different colorways of Heather Ross’s Mendocino play together. 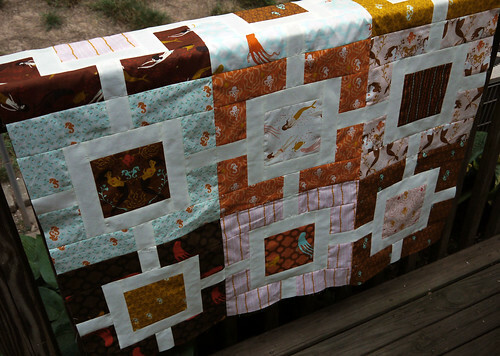 The end result is a beautiful quilt for a little girl that isn’t *too* girly. I especially love the pop from the orange and mustard prints. 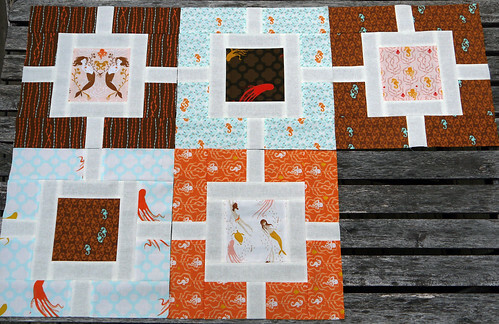 Once again, this block is a great pattern from Hyacinth Quilts. I scaled it up to better accommodate the scale of the larger prints (finished block is 13″), and also omitted the sashing between the blocks. After looking at the blocks right next to each other for so long on my design wall, I just liked them better that way. My husband’s funny face is legit this time… little bugs were divebombing while he held up the quilt. Thanks for being a trooper, honey! Lest you think I haven’t been sewing… It’s slow going, but five of twelve blocks for the Garden Under the Sea quilt are complete.